Helen was interviewed by Nikki Bedi on BBC Radio London's Vanessa Feltz show. 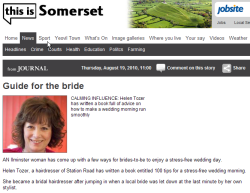 Nikki asked Helen about her book 100 Tips For A Stress Free Wedding Morning and discussed ways to remain calm on the day. Planning your wedding morning timetable, visualisation to remain calm and choosing your bridesmaids carefully, were some of the topics discussed. 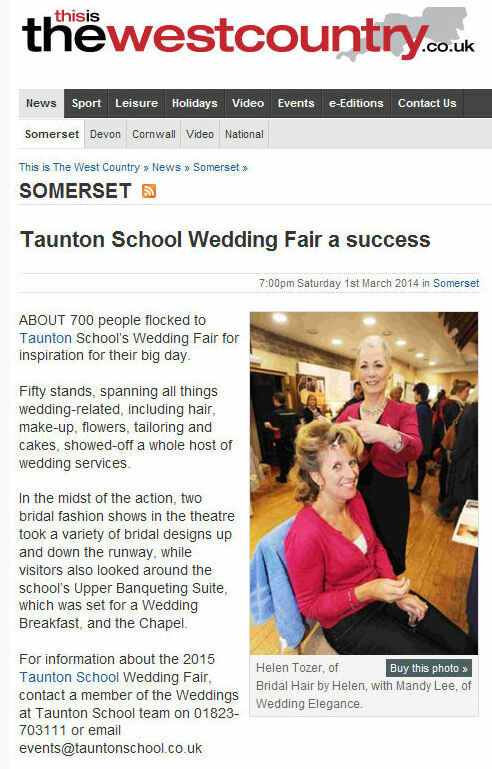 About 700 people visited Taunton School’s Wedding Fair in February, 2014 for inspiration from fifty exhibitors, including Helen Tozer, Bridal Hair by Helen. 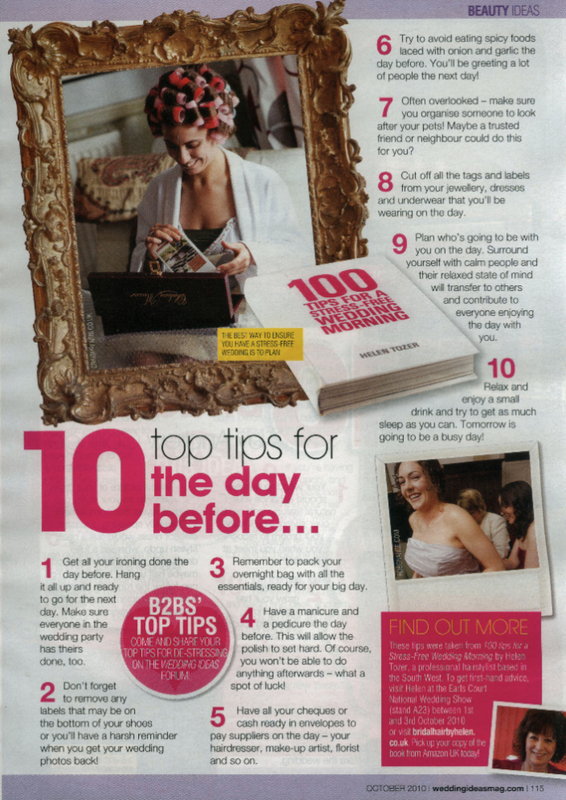 Helen styled hair for the Wedding Elegance catwalk models on the day and then promoted her services and guide book '100 Tips For A Stress Free Wedding Morning'. 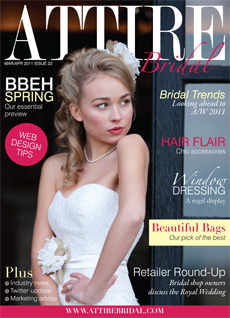 UK trade publication ATTIRE Bridal magazine for March/April 2011 features the talents of Hannah Duffy Photography, Cambridge photographic artist. 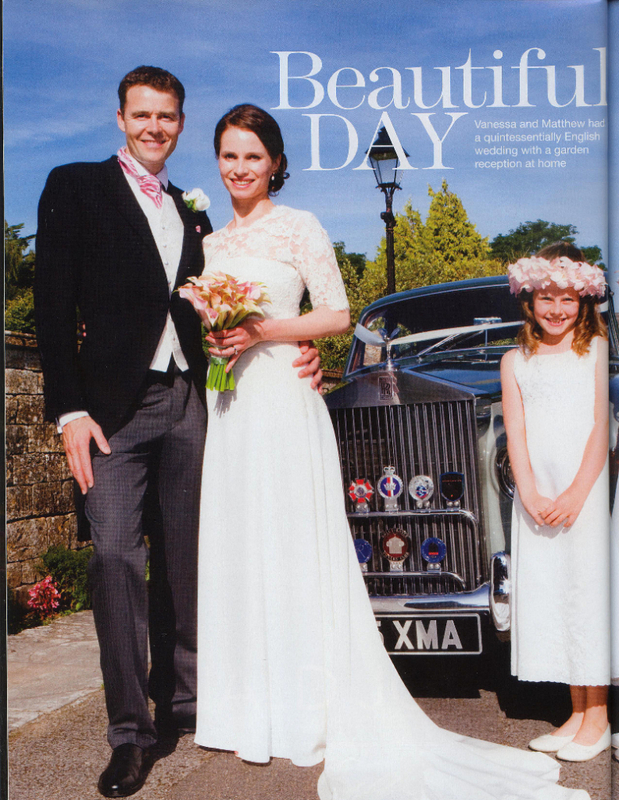 Helen worked with Hannah to style the model's hair for this bridal photo shoot. 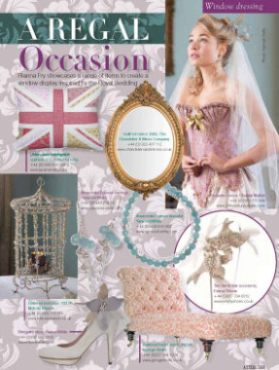 Examples of Helen's styling can be seen here on the front cover and on page 113 of the magazine. The bridal gowns featured are those of Chantal Mallett and Naomi Neoh. 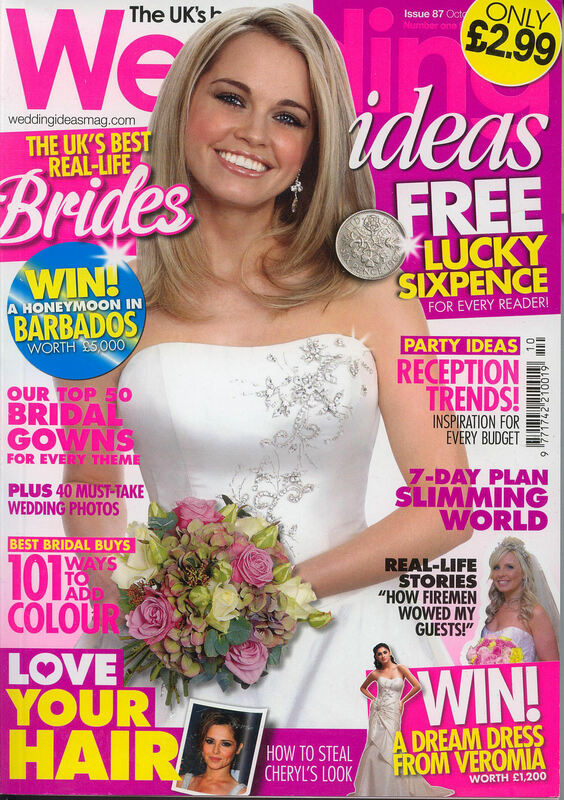 The October 2010 edition of Wedding Ideas magazine features Helen's new book, '100 Tips For A Stress-Free Wedding Morning' - see page 115. Details can also be found about Helen's stand at The National Wedding Show, Earls Court, London 1 - 3 October 2010. 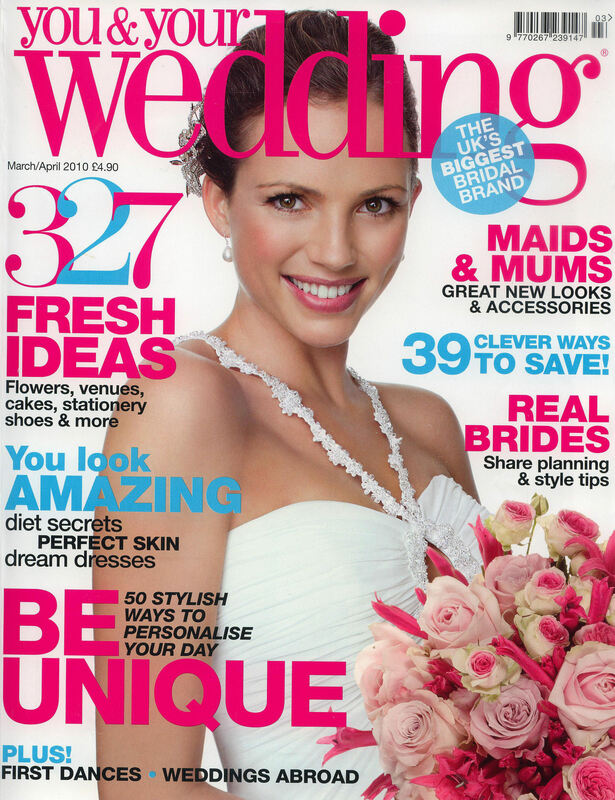 The March/April 2010 edition of You & Your Wedding magazine features Helen's bridal hair styling for Vanessa, Reception Editor of the magazine - see page 128.